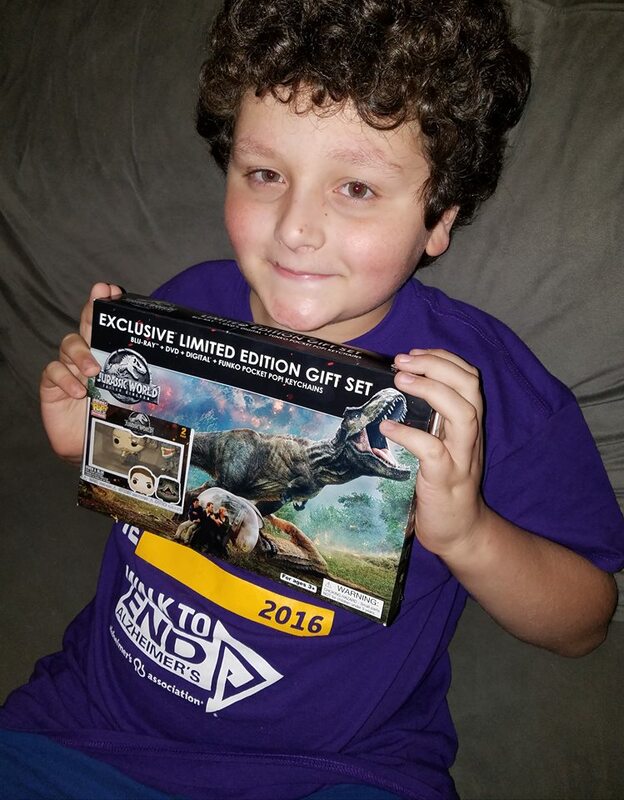 To add to the excitement, Universal Pictures has created a Walmart Exclusive Limited-Edition Blu-ray Funko Giftset. The set includes a Blu-ray, DVD, and digital copy of Fallen Kingdom with several bonus features. It also comes with a 2-pack set of Funko Pocket Pop! Keychains which features two of the main characters: Owen and his beloved raptor, Blue. We have not seen the movie yet, and are looking forward to checking it out when it is released. My kids have been talking about seeing it for a while now. I’m old, and remember being scared out of my mind when the original Jurassic Park came out in theaters when I was a kid, LOL. My son really loves the Funko Pop! keychains as well- he collects keychains, and has quite the load on his backpack. I’m not even sure how he carries them anymore. This exclusive giftset can only be found at Walmart, ready to be picked up on September 18. Make sure you get yours early, they might run out.